Life cannot make exceptions for shooting schedules. Either it’s someone’s time to go, or an untimely tragedy strikes. 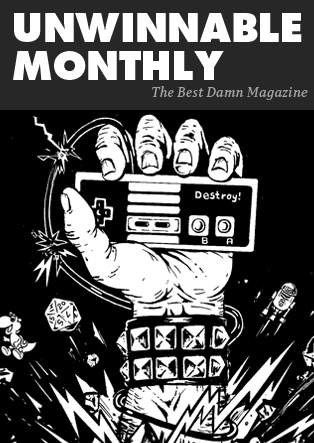 There are multiple ways to work around tragedy, and over the years technology has allowed for us to fill in the gaps between the realms of the living and the dead. What was once a cutout of an actor’s face taped to a mirror or a dentist wearing a Dracula cape over half his face is now a fully realized character, walking around with a CG death mask. 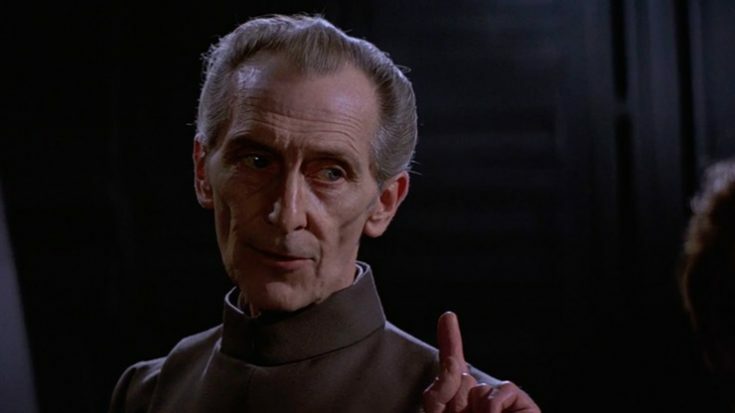 I encountered this most recently while watching Star Wars Rogue One, where I could have been fooled into thinking that Hammer Films icon and onetime Doctor Who Peter Cushing was walking and talking up a storm, reprising possible his publicly notable role as Grand Moff Tarkin. For me it only took a few minutes before I noticed something wasn’t right, and not the Uncanny Valley. What’s not right is that this is not the last we’re going to see of the dead not resting in peace. The first time I can remember being aware of bringing back the dead in film was when I saw The Crow in 1994. Lead actor Brandon Lee’s onset shooting death was all over the news, and added a layer of loss and sadness to a movie heavy with those two things. There was much made of the production having to skirt around filming scenes after the tragedy, and when watching the movie there’s really only one blatant scene involving a smashed mirror that involves shaky CG animation. It’s way more stylish and tasteful then some of the cheap tricks used in the final posthumous film of Brandon’s father Bruce, Game of Death. Released five years after Bruce’s death in 1973, the incomplete movie was assembled using existing footage of Lee from his other movies, from what was shot of Game of Death and from a couple of martial artists running around with fake beards and hats to cover up that they looked nothing like him. Oh, and one scene of a picture of Bruce’s face taped to a mirror. I wouldn’t say that Cushing’s role was as disrespectful as that, but it brings up the dilemma of where one draws the line. 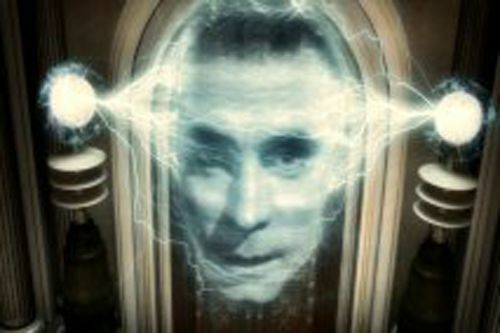 There is actor Guy Henry walking and talking with his own body and his own voice, but with a digital Peter Cushing face. What once was done out of necessity is done for grandstanding. While I’m OK with Tarkin’s portrayal in Rogue One I also feel like they could have just recast the role with another actor with a gaunt face playing the ruthless Imperial. Honestly you could even have just thrown some makeup on Henry and been done with it. Or, go the Brando in Superman route and use a hologram of the original actor utilizing cut scenes from the original movie, which was also done with Laurence Olivier in Sky Captain and the World of Tomorrow. Or, do a variation of the Plan 9 From Outer Space trick of having a guy who’s face is obscured somehow acting out his scenes. Just make sure it’s not a dentist who looks nothing like Bela Lugosi. These moral questions will come up again and again, and unfortunately sooner than later in the Star Wars films. Carrie Fisher passed away at the untimely age of 60 on December 27th, barely a month before my writing this. I watched Rogue One not long after that, so a scene where an actress with a face CG’ed over by the younger face of Fisher as Princess Leia had an unsettling effect on me, possibly more so than Cushing. With Cushing everything was apparently done legitimately, his estate signing off on it. His Tarkin character is already killed in the ongoing saga of Star Wars, the likelihood that he’ll play any kind of sizeable role in a future movie is minimal, with this appearance being more of an homage than anything. With Fisher she passed while in the midst of shooting a new trilogy of Star Wars movies. While her footage was shot for episode VIII there’s still a big question about how they will handle her appearance in future movies like episode IX and on. Just because they have the tech to do this doesn’t mean they have to do it. There was a trick employed with sending off Paul Walker’s character in Fast and the Furious 7 where they had his brother provide a body double for the final scene involving his character. Walker had died tragically in a car accident before filming was completed, so they essentially had the character drive off into the sunset, retiring from his life of driving fast and furious. It’s one way of handling the departure of a major character from a franchise. In the case of Carrie Fisher and many other actors and actresses they sign on for Star Wars, DC and Marvel Comics movies these days not knowing what their likeness is going to be used for, in franchises that will most likely exist for many decades. Fisher was always game regarding Star Wars, unlike say Alec Guinness and Harrison Ford, who both wanted out in the 80’s, and Ford only receiving his Han Solo death recently in The Force Awakens. 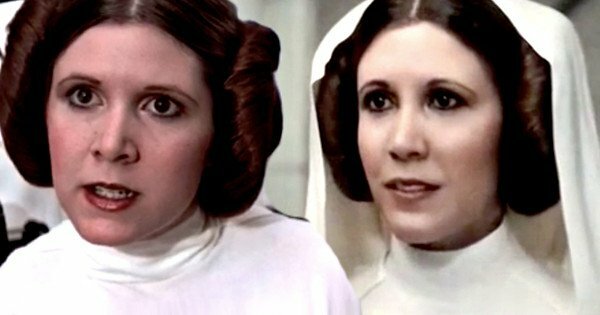 She realized that her likeness in the form of Princess Leia Organa will live on long after her. If there is one thing that seems likely in this new trilogy, it’s that the old guard is giving way to the new. Only a few weeks ago reports surfaced across the major media outlets that Disney was negotiating with Carrie Fisher’s estate for her likeness rights. This led to a general uproar online as people felt like Disney, in true corporate behavior, was moving too soon after Fisher’s death to push their business agenda forward and secure rights to use her likeness going forward. It also led many to believe that a CG Fisher similar to Guy Henry/Peter Cushing as Tarkin in Rogue One was going to be used in the sequels going forward. Fortunately the most recent reports from sites such as kotaku.com and popcrush.com say that Disney will not be using her likeness in future films. Whatever Disney does, here’s hoping they retire the Leia character in this new trilogy with class and grace. For everyone else, only time will tell what future franchise films will bring back the dead.